Our clients choose Springfield Lakes Property Management to manage their rental properties in Springfield Lakes, because we provide a full range of property management services, including marketing, advertising, applicant screening, rent collection, resident management, and property maintenance. As a full-service residential property management firm in Brisbane, we offer the most comprehensive and cost effective Residential Property Management Springfield Lakes solutions. Real Property Management is one of the industry leaders providing innovative processes and systems which are managed by a professional and well-trained staff of experienced managers, maintenance technicians, and accountants. 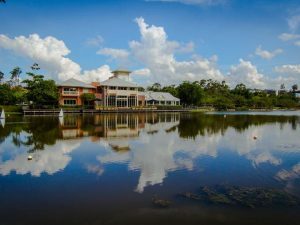 Through our experience, our knowledge of the Springfield Lakes real estate market, and our excellent customer service, Real Property Management suburb provides stability and security in the often-challenging world of investment property ownership. Springfield Lakes is a suburb in the City of Ipswich, Queensland, Australia. At the 2011 Australian Census the suburb recorded a population of 10,149. Springfield Lakes is one of the suburbs created within Greater Springfield, a 2,850 hectare site which is Australia’s largest master planned community. For comparison purposes this is more than half the size of Cairns. The suburb was specifically located to reduce growth along the Brisbane-Gold Coast corridor in South East Queensland. The Centenary Motorway forms the north-western boundary of the suburb. The Springfield railway line runs immediately parallel and north of the highway. The suburb is serviced by bus route 522 which links Goodna station with Springfield Central station. Apart from bus services, the suburb also has access to rail services with the northern part of Springfield Lakes being serviced by Springfield railway station while the southern part of the suburb is serviced by Springfield Central railway station across from Orion Springfield Central shopping centre. Springfield Lakes was developed by Lend Lease as a series of smaller neighbourhoods (villages). As of November 2015 these neighbourhoods are: Bridgewater Chase (Springfield), Clancy’s Crossing (Springfield), The Escarpment (Springfield), Lakeside, Eden’s Homestead, Olive Springs, Butterfly Green, The Promenade, Waterside at The Promenade, The Peninsula, The Summit, Aspect, Creekside, Lakes Entrance, Wildflower Ridge, Park Edge, Tea Trees, Central Walk, and The Sanctuary. The Peninsula is the final neighbourhood of Springfield Lakes developed immediately behind Regatta Lake and Discovery Lake. 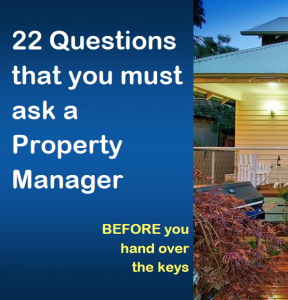 Real Property Management Australia are Springfield Lakes Property Management specialists.